I feel a bit redundent posting this as it's not available any more in this colour but you never know, it might get repromoted one day. And in my defence, it is beautiful. 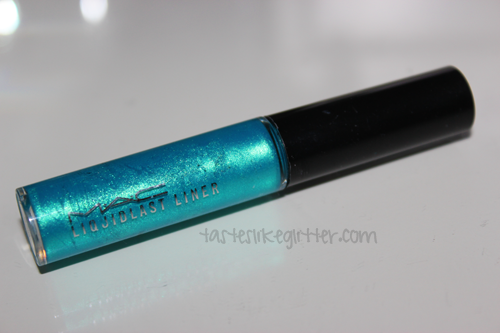 A rich colour liquid eye liner that combines long-lasting wear with a non-smudge, non-flake precision line. Goes on effortlessly. Applies with its own brush to draw a perfectly defined line. This used to come in a mass array colours which M.A.C decide to bin off and just keep the black. Why?! 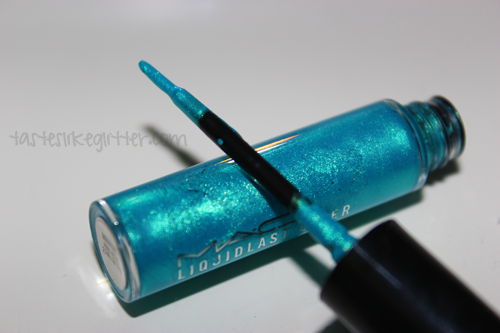 I really don't understand why, this is a beautiful eyeliner. 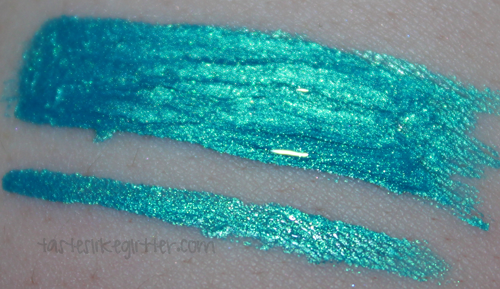 I also have another colour - Blue Herizon which I blogged about in my first 'Forgotten Favourites' post. Maybe brightly coloured eyeliners aren't 'in' any more but why get rid of the darker colours like navy and the rich purples?! 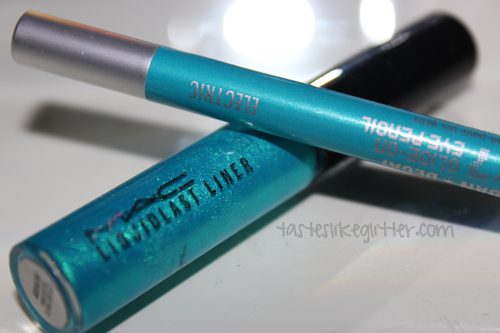 As stated in my FF post, the formula of these can take a bit of getting used to the formula is thicker than regular liquid liner and it has more of a sticky consistency but once you've mastered it, you won't regret it. They are super waterproof, I'm not even exaggerating here. If they ever come back in colours, I highly suggest picking them up.